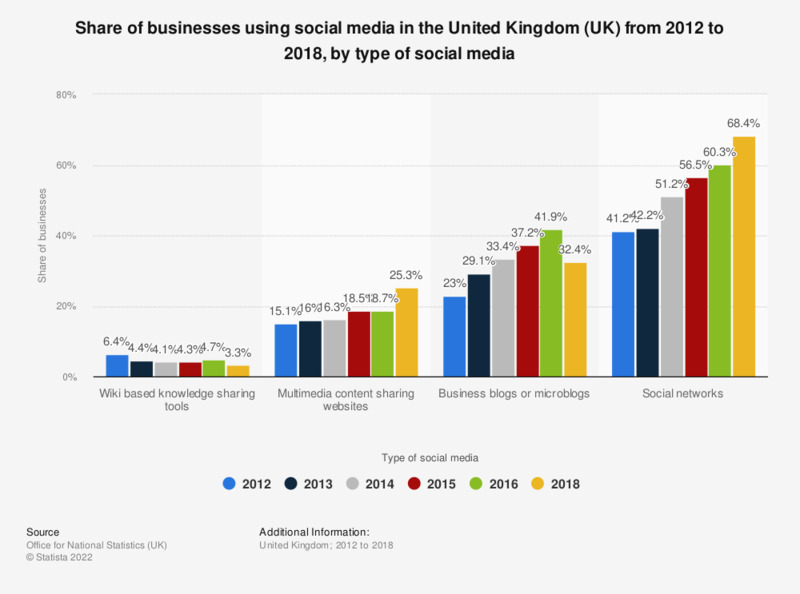 This statistic displays the share of businesses using social media in the United Kingdom (UK) from 2012 to 2016, by type. Penetration of social network usage was highest, at 60.3 percent, in 2016. 2013 estimates exclude businesses that only use social media for posting paid adverts. How often do you search for keywords using Pinterest? Do you use social networks while on vacation?